One of the most exciting and rewarding parts of owning goldfish can be seeing your fish give birth to a whole new generation. Successfully breeding your goldfish confirms that you’ve taken good care of them – and it gives you baby fish to look after! 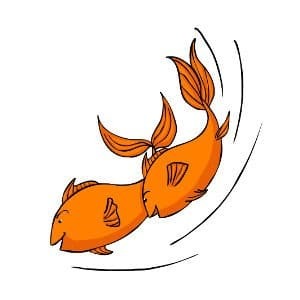 While it is possible for goldfish to reproduce within a domestic tank, a whole combination of factors need to be correct in order for it to happen. 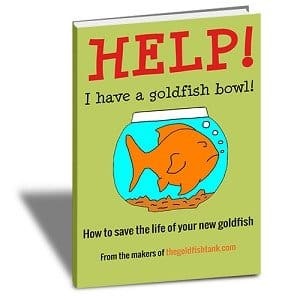 It’s up to you to ensure that your goldfish have the conditions they need for mating and encourage them to breed. In this article, we look at how goldfish mate and the environmental conditions required to encourage goldfish mating. What conditions do goldfish need in order to mate? To encourage your goldfish to mate, you will first need a stable, well established and properly cycled tank that is easily large enough to house adult goldfish. 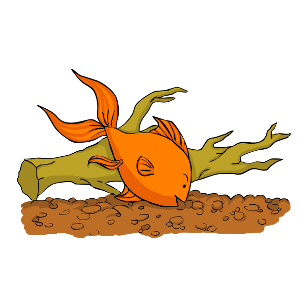 The tank should be well planted and it should contain at least one male and one female goldfish aged at least three years. While younger fish can theoretically reproduce, female fish under the age of three are much more likely to become “egg bound”, leading to eggs that fail to hatch. Even worse, this can potentially cause the death of the adult fish too. The temperature of the water is one of the most influential factors when it comes to breeding goldfish, and within the tank where the home temperature is usually fairly stable, this is something that you may need to manage in order to produce the right breeding environment. Maintain the tank temperature at around 64 degrees F for four months, and then slowly rewarm the tank over the course of a couple of weeks to a temperature of 70-74 degrees F. This slow rise in temperature will make your fish think that breeding season is beginning and will cause them to initiate mating. When are goldfish ready to mate? Mating behavior in goldfish is very distinctive. Once you know what the signs are you will have no problems spotting it! Firstly, the male goldfish will develop small, white spots along their gills (these can often be mistaken for signs of disease, so look carefully!). At the same time, the female goldfish will become fatter and more rounded-looking in preparation for breeding. The male goldfish will then constantly chase the female goldfish around the tank. The aim of this is to encourage the female to release her eggs. The mating “dance” of goldfish can be exhausting even to watch and they will chase to the point of near-exhaustion! This usually goes on for several hours and may also include the male nipping at the tail and fins of the female. For obvious reasons, this behavior is often confused with fighting. Eventually, when the female becomes so tired that she cannot continue the chase, she will release all of her eggs. Many of the eggs will stick to the walls of the tank and to the plants. The male goldfish will then fertilize the eggs by releasing his “milt” (the goldfish equivalent of human sperm) into the water. This can make the whole tank look cloudy, but don’t worry, it’s perfectly normal and you should not perform a water change! Healthy fertilized eggs should be clear in color, while unfertilized eggs will usually develop fungus, which turns them white. Remove any white, unfertilized eggs from the tank, in order to avoid polluting the water. 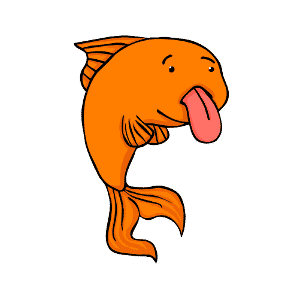 Once the eggs have been released and fertilized, it is entirely possible that the goldfish will go right ahead and eat them! In order to prevent this, you should consider removing the fertilized eggs into a tank of their own, or sectioning off your main tank so that the adult fish cannot get to them. The holding area for the eggs should be shallow so that the water pressure remains low. The flow of water filtration should be very gentle in order to avoid harming the eggs and fry and to prevent them from getting sucked up into the filter. A temperature of around 70 degrees F is ideal during their first five days, after which you should drop the temperature to 64 degrees F for seven days. At around four to five days after the eggs have been fertilized, you will begin to see growth inside them! This will appear as a small black spot in the center of each egg. By around day seven, these black specks will begin to come out of their eggs as tiny goldfish and stick to the tank’s plants. Goldfish only develop their full color as they age, so all newborn fry will appear black or dark gray. And they will be very tiny! At this stage, you will also be able to see the yolk sack that provides nutrition to the growing babies. Once the fry have consumed their yolk sacs, they will become very mobile and start searching the tank for more food. Unfortunately, fry often die due to a lack of food during this important stage of development. You should therefore invest in food designed for fry, such as liquid food or very finely crushed flake food. You can also feed them tiny pieces of hard-boiled egg yolk shaken in water until it’s almost dissolved and is therefore small enough for even the tiniest fry to eat. This diet should continue until the fry are large enough to eat full sized pellets and flakes.